Printed specifically for the automotive repair shop. A garage repair invoice can help you to operate your the business more efficiently. 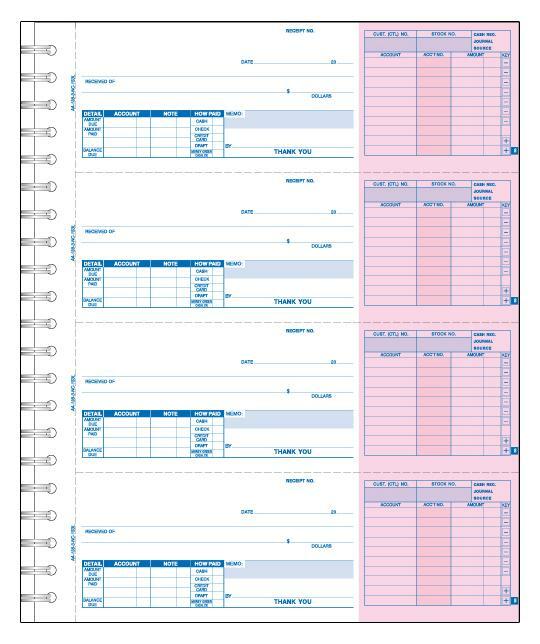 All invoices can be fully cutomized with additional lines and your own personal information. 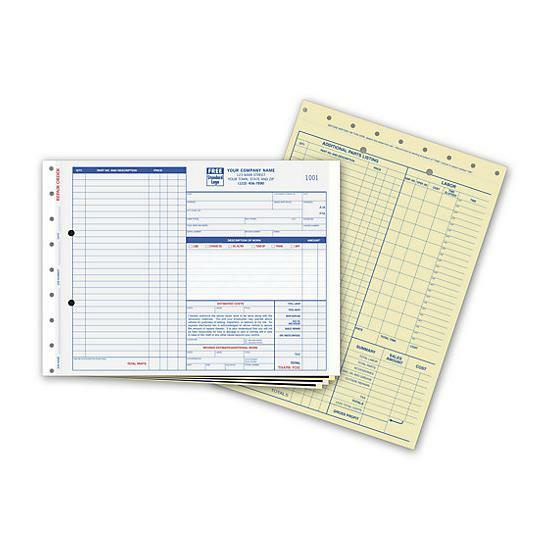 Whether you have mechanics working on cars, trucks or vans, this invoice will do the job. We are proud of the quality and as you can seeit offered at a cheap or wholesale price. We can print and ship to all cities and states including California, Houston, Los Angeles, Atlanta, North Carolina, Louisina, Connecticut, Las Vegas and other places. Give us a call now if you have any questions. 1-800-492-1218. 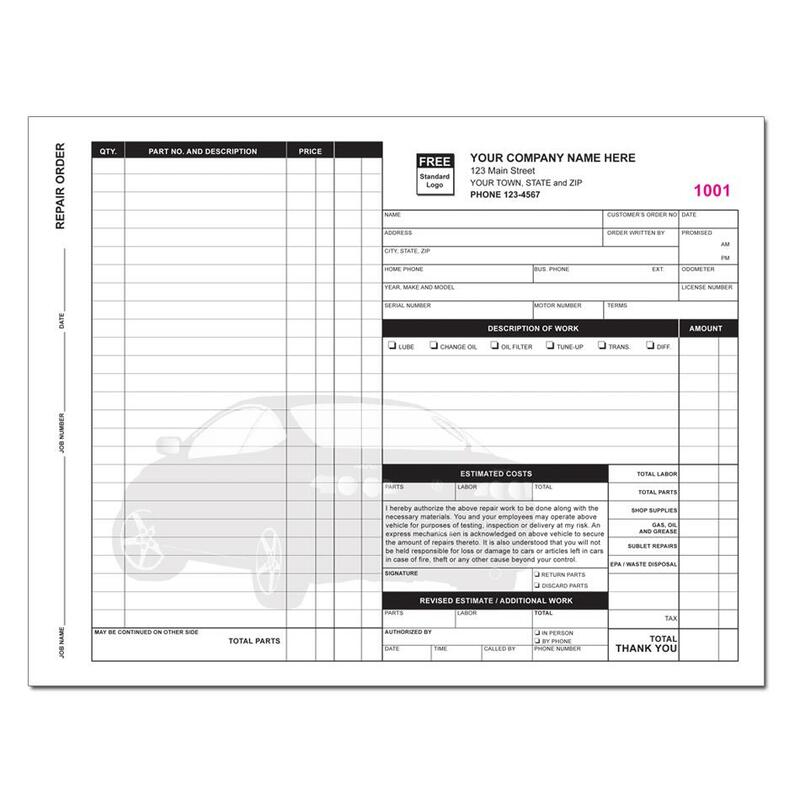 We also offer other invoices specific to services like transmission repair, glass repair, body shops, upholstery etc. Order online ot contact us now for more information.